In best of times, it’s not always easy for a small business to get a loan or line of credit. In a difficult economy, it can be nearly an impossible task to accomplish. You’ve tried to be a responsible business owner, you’ve made your payroll, paid your vendors, but occasionally receivables, or a bad debt have cropped up; it wasn’t your intention, but you’ve ended up with slightly less than perfect credit. Tough economy, iffy credit, new business, the odds against a bank loan mount; and with today’s large corporate chain banks, the decision is made a thousand miles away, by someone you’ve never met, and doesn’t know you or your story. They can take weeks to make a decision. On occasion, women owned businesses face an even tougher battle. There is an answer, small business loans for women with bad credit, and it’s a financial solution that many small business owners aren’t even aware of. The answer may well be a merchant cash advance against your future credit card processing turnover from Principis Capital. A merchant cash advance is not a loan; you are selling a portion of your future credit card sales; so instead of making a regular fixed repayment, you pay back a small portion of your credit card sales each time you process a batch. The application process is surprisingly short, usually less than thirty minutes; funding can occur within seven days. Many small business use this type of financing as a line of credit, calling on it as the business requires. Principis Capital has flexibility when it comes to structuring a program for you, they don’t have a standard, set solution that they try to fit you into. The company deals with a wide swath of industries, many of which banks won’t even touch under the best of circumstances, including, but not limited to: bars, restaurants, daycare, health and beauty, automotive, franchises, and retail. The only ‘set’ requirement is that the business has a physical location. The firm offers a number of free online tools for owners seeking small business loans for women with bad credit. Principis will not waste your time; within 24 hours of receiving your application they will be back to you with a proposal. Applying is easy, a short online form is all it takes to get started. 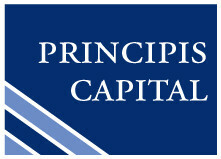 Principis Capital is a leader in providing small business financing regardless of credit. Whether you own a store, restaurant, or a business in one of many other industries, we want to work with you!